or the set on a stage, ready for the players, the houselights dim. I hold my breath and still myself—was that it? appear in the streetlight’s cone of illumination, then disappear. I am the only one who has witnessed the beginning. I don’t know about you, but I’m waiting for that first snowfall, quietly appearing as if by magic under the streetlight. 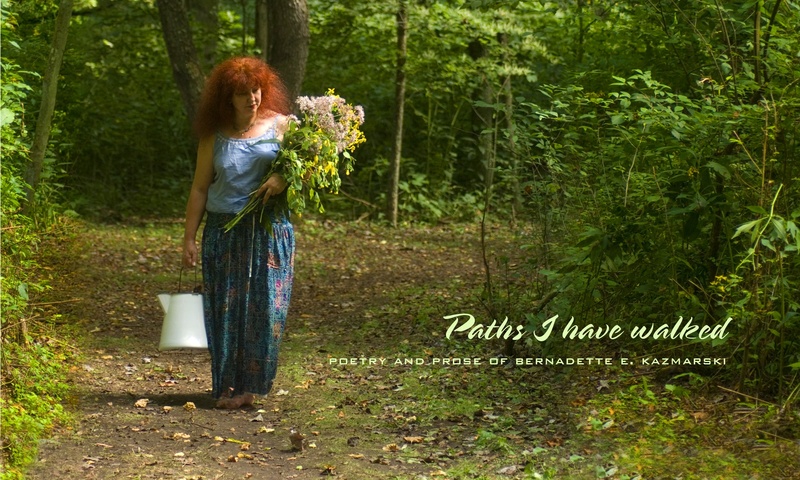 I read this poem at my recent poetry reading “Walking Around” as one of the experiences we share in a small town. 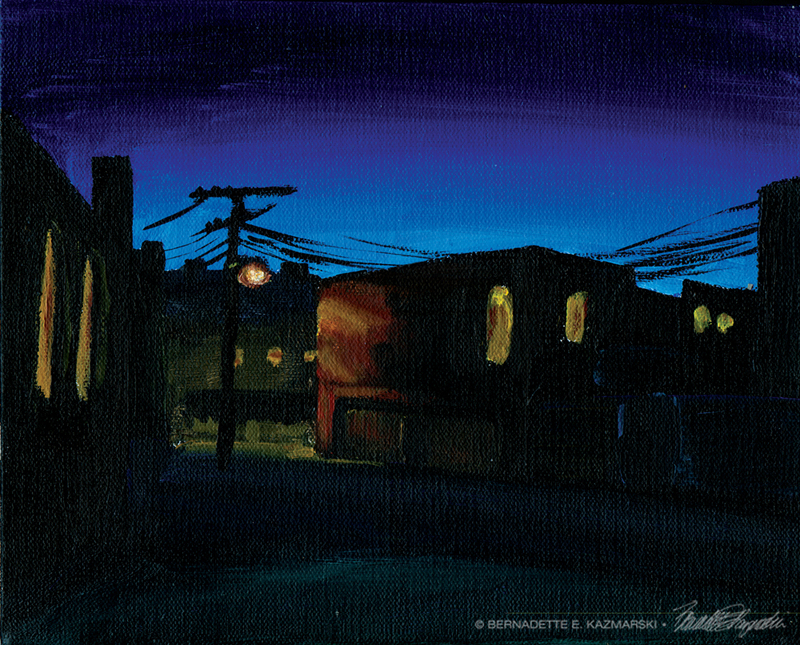 The painting in this post, “Alley at Night”, is available as a print from Portraits of Animals.